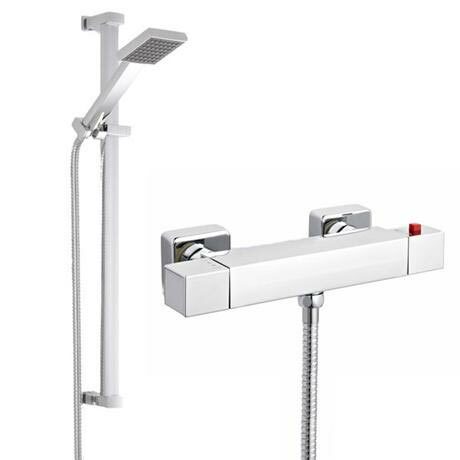 This product features a minimalist chrome bar shower valve with thermostatic control, the valve has a bottom outlet for attaching the shower slider rail kit. The rectangular slide rail kit features a minimalist rectangular slider rail, with a matching handset, all finished in chrome. All kits include sliding rail, shower hose and shower head.